Derick Dillard broke the news last Friday that his wife is now expecting babies – except that it's not theirs. Jill (Duggar) Dillard is now officially a certified professional midwife (CPM). When Derrick proudly posted in the Dillard's family blog that "exciting things are happening in our family," many thought that it was because his wife is pregnant with baby number 2. Jill has given birth to their son, Israel David, five months ago, and rumors started flying that the couple is expecting. However, Derrick just confirmed that Jill is now a CPM, and the family is proud of Jill. "I am so proud of her for her diligence, perseverance, and hard work to see this long road through to its end and reaching her goal of becoming a CPM," Derrick said. 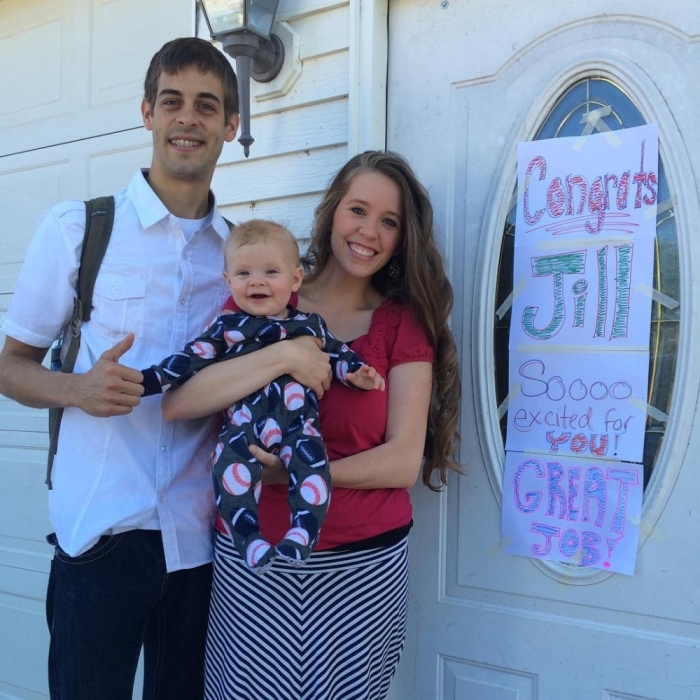 According to her husband, Jill is now planning to put her knowledge to good use by going in Central America for a mission work. The new midwife now plans to volunteer her midwifery skills as a way to "furthering of God's Kingdom," as what her husband said on the blog. The couple already left for mission work earlier in July in El Salvador. They left just days before the Duggar's long-running show, "19 Kids and Counting," got canceled because of Josh Duggar's controversy. The Dillard family just returned early September to visit their families, and to Amy Duggar's (now King) wedding. Meanwhile, the missionary work that the couple has done had sparked a lot of issues about their family. Many fans have questioned where the money went, according to ET Online. In the video clip from the website, fans were asking for proof of their mission trip since they haven't seen any photos showing any hospital visits or bible studies that the couple helped with. The Dillards did not answer the question directly, but according to the clip, the couple answered they are "taking care of things."